Born 1943, Columbus, Ohio; died 2005, Oakland, California. 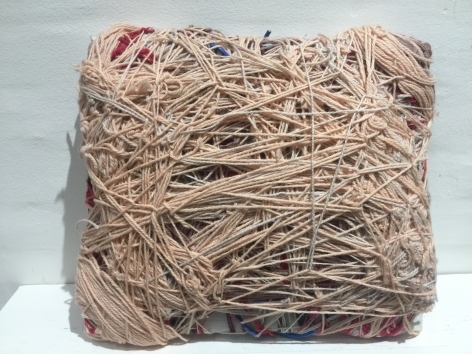 Judith Scott's art is marked by great power. 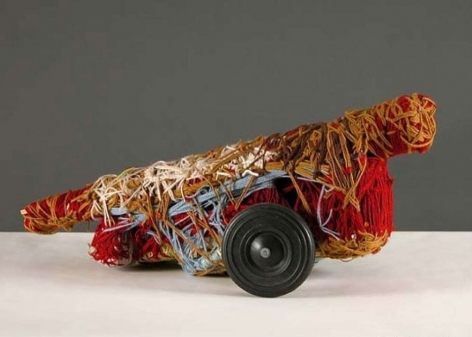 Her sculptures made of found objects and materials, wrapped in yarn and textiles, exude a sense of mystery not only through their visual appeal, but through what they conceal. 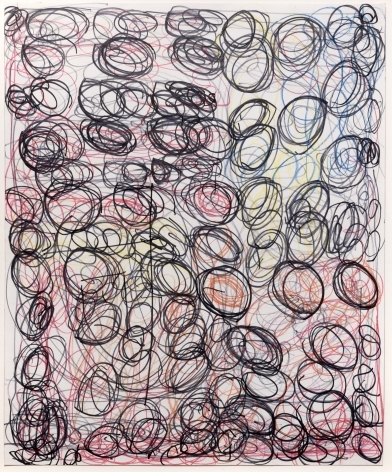 Each carries a palpable charge generated by the artist's intense, generative act of wrapping and binding. Although not directly influenced by or related to any cultural tradition, her works resonate uncannily with a range of material cultural practices that involve intentional accretion for the purpose of healing. Judith Scott was a magician. at which time her twin intervened, became her guardian, and moved her to California. Soon after, she joined Oakland's Creative Growth, a seminal arts workshop for the disabled. After two years of relative disinterest, Scott began to work with yarn and fiber in the workshop setting, and was encouraged to forge a visual and material language all her own. More than simply works of art made to pass the time, these colorful, often intimidating cocoons carry the force of her will to reckon, to remember, to communicate, and to reinvent herself. During her lifetime, she gained international acclaim, and since her passing in 2005, her work has continued to earn critical recognition in major publications and exhibitions.